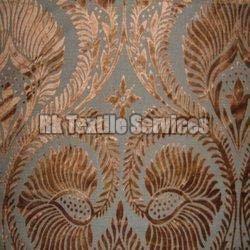 To meet the diversified requirements of our prestigious clients, we are engaged in offering Brasso Fabric. The offered fabric is fabricated with the help of finest grade thread, yarn and fibers at our sophisticated fabricating unit. It is widely demanded in textile industries as raw fabric for designing clothes and garments. Further, it is strictly checked on different quality parameters assuring its flawlessness at user’s end.